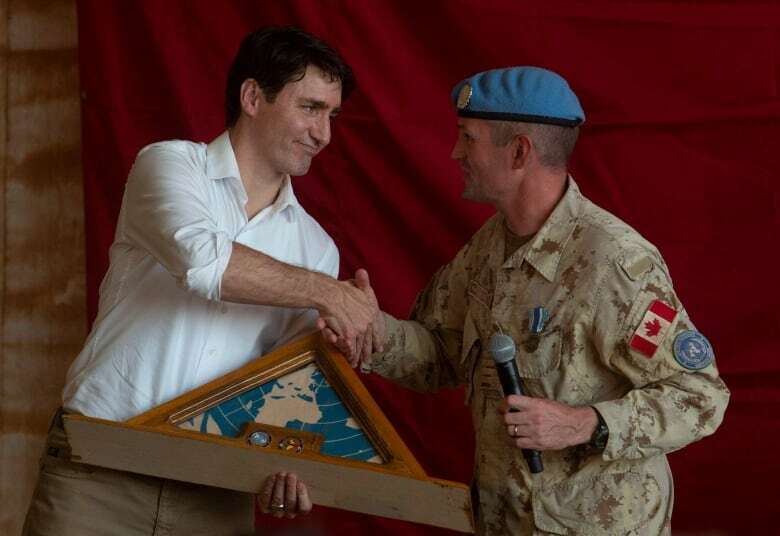 Canada has asked the United Nations for an extension of two weeks to decide whether to keep its peacekeepers and helicopters on the ground in Mali beyond its July 31 departure date. In a letter dated Feb. 26, the UN urges the Liberal government to continue providing critical evacuation and logistical support to the UN mission in Mali until Romanian replacements are on the ground on Oct. 15. The letter also asked for a formal response by March 22 — last Friday. Prime Minister Justin Trudeau’s government replied with a request of its own. It asked for a two-week extension, according to two UN officials familiar with the dossier. 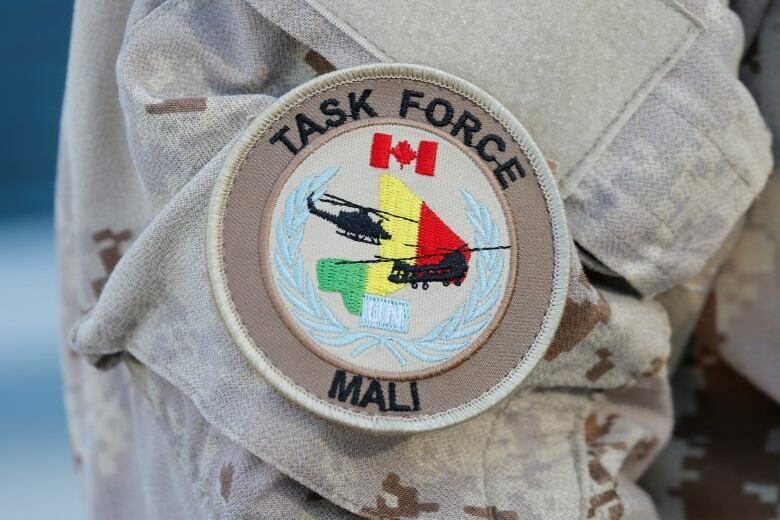 Ottawa is contributing two CH-147 Chinook transport helicopters for logistical support and medical evacuations, as well as four armed CH-146 Griffon helicopters to the UN Multidimensional Integrated Stabilization Mission Mali (MINUSMA). It also has up to 250 flight crew, medics and support personnel working out of MINUSMA’s base in Gao, in northeast Mali. In the letter, obtained by CBC News, the UN asks Canada to maintain full capacity until mid-September which would include transporting troops and supplies, then scale back to provide strictly medical evacuations for the final month until the new aviation unit arrives from Romania. Bucharest will deploy four IAR 330L Puma medium-utility helicopters to Gao, which can be armed for self-defence purposes. 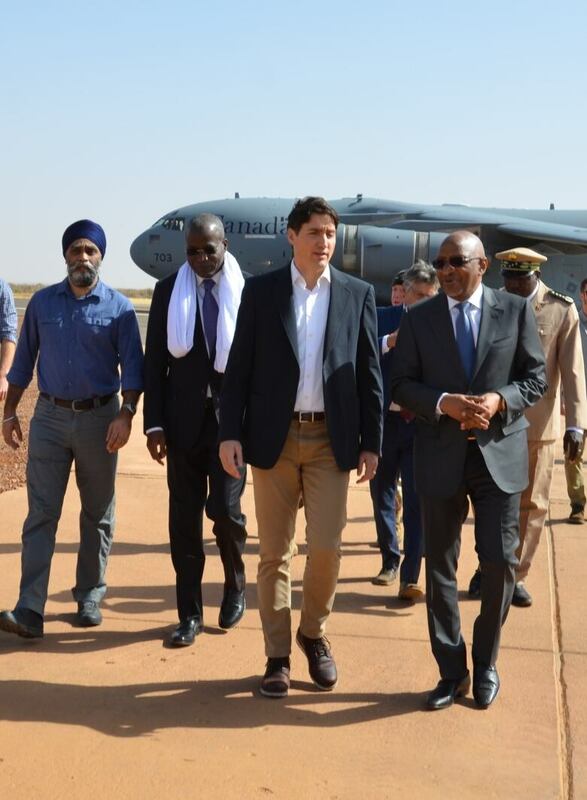 Mahamat Saleh Annadif, the head MINUSMA, said it would be “a shame” if the Canadians left before the Romanians are in theatre. Helicopters are critical to the success of any peacekeeping operation but especially the UN stabilization mission in Mali, said Annadif. MINUSMA troops are dealing with a vast and diverse terrain as well as terrorist threats which show no sign of abating, creating new offshoots of violence among non-jihadist groups. The UN said the fight against violent extremism is being used as a pretext by ethnic militia groups to go after unrelated threats — real and perceived. On Saturday, gunmen attacked a predominantly Muslim village in Central Mali killing more than 150 people, one-third of them children. Launched in 2013, MINUSMA is the deadliest current UN mission, with more than 190 peacekeepers killed. Annadif said the Canadian air assets come with a military capability and an operational flexibility that private contractors don’t have in conflict zones. ”The Canadian helicopters have the advantage of night flight capability and they come already configured with medical equipment and personnel,” said Annadif. While Ottawa is supplying transport and evacuation capabilities, the small Central American nation of El Salvador has three U.S.-built MD500 attack helicopters flying out of Gao, providing ground troops with aerial cover. The deputy military adviser at El Salvador’s mission to the UN said his country, which has been in Mali since 2015, will be staying on to work with the Romanians. El Salvadorian officials hope Canada will stay on a little longer. “We have a very good teamwork,” said El Salvador’s Lt.-Col. Franklin Rodas about operating alongside Canadian peacekeepers. After Saturday’s attack in Mali’s Mopti region, the UN said MINUSMA provided air support to deter further attacks and assisted with the evacuation of the injured. Canada is co-chairing an international peacekeeping summit which gets underway at UN headquarters in New York City Friday. Some 45 defence and foreign affairs ministers are scheduled to speak, including Canada’s Defence Minister Harjit Sajjan. According to a document shared with member states ahead of the gathering, MINUSMA is currently facing several critical operational gaps. It needs helicopter units at its bases in Kidal and Mopti, 200 mine-resistant vehicles, and a francophone police unit in the capital, Bamako. There is speculation at the UN on whether Canada will use the peacekeeping pledging conference to make a formal announcement regarding its future in Mali. Despite the UN plea, and political pressure at home with the NDP insisting the helicopters remain until replacements arrive, the Liberal government has remained steadfast in its assertion the mission will end in July. Following a request from CBC News, a spokesperson for Global Affairs Canada said Ottawa welcomed Romania’s pledge.